Linen postcards are a wonderful starting point for a postcard collector. They are inexpensive, colorful, and fun. 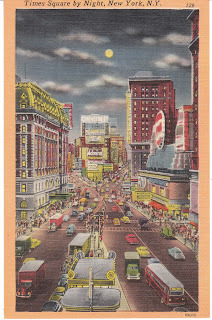 These linen cards were popular in the 1930's to mid-1940's. 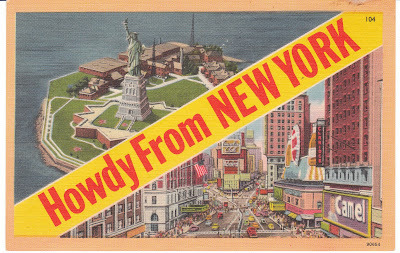 They were especially popular as American travel souvenirs - roadside Americana. 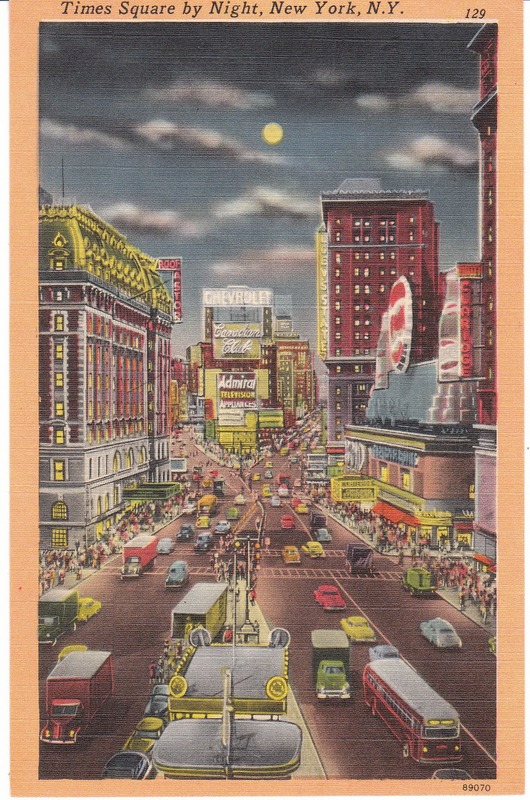 These New York City cards are so lovely that I thought you might enjoy them too. You'll see several pictures of Times Square here. Of special note -- the vintage cars and building/advertising signage. Great fun!